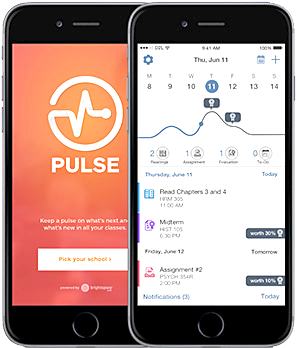 Roane State uses the mobile app Brightspace Pulse. This app will help you organize and plan for online course activities through your mobile device. What can Brightspace Pulse be used for?